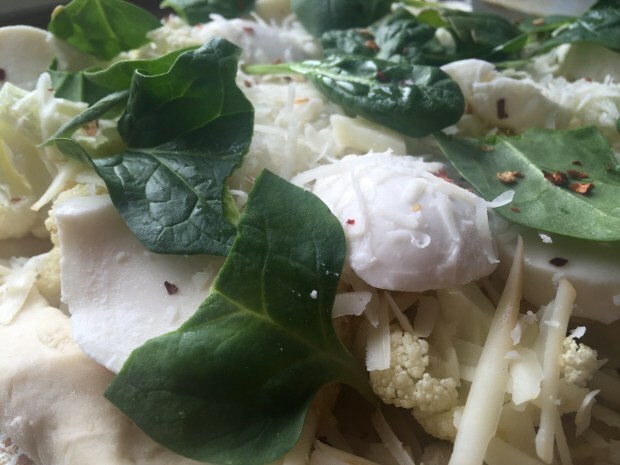 What words come to mind when you hear “Cauliflower and Gruyere Tart”? “Cozy” comes to mine; I made this on a snowy Saturday afternoon, when everything in me was craving warmth and comfort. 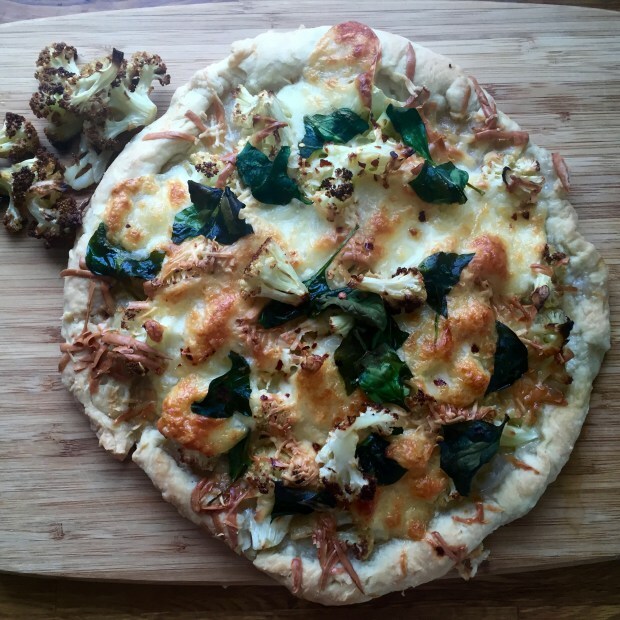 Also, “savory”; a buttery crust, paired with a rich gruyere, salty peccorino-romano, golden roasted cauliflower, and just a hint of spice . . . mmmm. And most important of all, “easy”. So, so easy. Shamefully easy. Ridiculously easy. Shockingly easy. Mind you, there was a time, when I’d see a picture of anything with a crust (or anything called a tart) and think, “Nope. No way. Don’t have time for that.” But, that was when I was only eating tarts—not baking them. Once I actually braved the great, wide world of tarts, it was a different story. That’s especially true of rustic tarts like this one (which is really more of a gallette . . . a fancy word for a rustic pie). All this recipe requires is about five minutes to make the dough, an hour to let it chill, maybe fifteen minutes to roll it out and toss some toppings onto it, then about forty minutes to bake. In theory, you can do this with a baby strapped to your back, a toddler pulling at your leg, and a teenager asking you questions about the symbolism woven into “The Scarlet Letter.” There’s even ample time built into this recipe to walk away from the kitchen, change diapers, and stop warring siblings from slaughtering each other. Or to pay your electric bill, address a dozen Save the Date cards, and switch out your laundry. Mileage will vary. UPDATE: This is so not an exact science, but if you’re wondering how much to roll the dough out, aim for roughly 10 inches round. Mine, because I take the words “free form” very literally usually ends up being more of an awkward, jagged oval . . . but it all turns out tasty and looks pretty just the same. See? Folding in those corners does wonders!